From across the sea we received our first listener write in story. 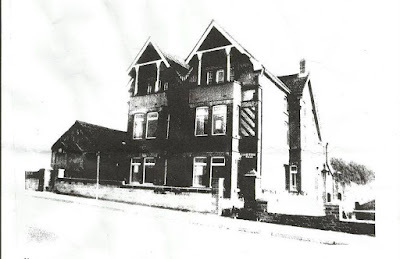 Andrew Dexter from the United Kingdom shared stories from his childhood in Wales living in a haunted house called Gladstone Villas. Special Correspondent, Resident Bigfoot Expert and Voice-of-the-Listener, Jeff Hubbard acts as our stand-in Andrew ( a Standrew) and regails the story of the Ghost of Gladstone Villas. All that and more on this week's episode of the WHAT'S YER WEIRD STORY? Podcast. Episode 26: Our Big Half Anniversary! Our BIG half year as a podcast episode! For 26 weeks our podcast has been providing our listeners with some amazing stories as told by our incredible guests. (Half a year...that's 3.5 dog years. That's like 8 years in a high school romance.) As a thank you, we have a giant sized fun episode in store. On today's special double stuffed episode our hosts,Adam and Barry, are joined by Special Correspondent, Weirdsville Bigfoot Expert, and Voice of the Listener, Jeff Hubbard to share some other their our weird stories. It's a good thing nothing weird has ever happened to Jeff... or has it? 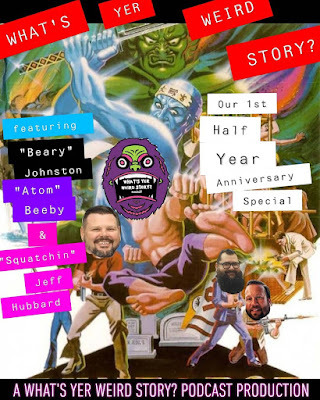 Join us as we walk down Memory Lane and share plenty of laughs and gasps on this weeks special double length Half Year Anniversary celebration episode of the WHAT'S YER WEIRD STORY? Podcast. Our old friend Desi (from episode 14) returns as promised with some family legends, Not only that, she brought her friend and former housemate Shannon along to share his story of an childhood encounter with a bigfoot type creature in the early 80's. Queue Stranger Things soundtrack style synth tracks... oh wait we can't afford that. A lot of laughs and good discussions ensue on this week's episode of the WHAT'S YER WEIRD STORY? Podcast! This week we have two guests with some spooky stories to share. Stories of SHADOW PEOPLE. Vinnie kicks off with two tales set years apart of a unusual events, both with a darkness at the center that have disturbed him even to this day. Then we are joined by Chris, who has a couple of great old family stories and his own encounter with a dark figure and a mysterious glyph. All that and a lot of fumbling over words by our host for one reason or another on this week's episode of the WHAT'S YER WEIRD STORY? Podcast. Tales from the Alaskan Frontier as told by out guest Angela. 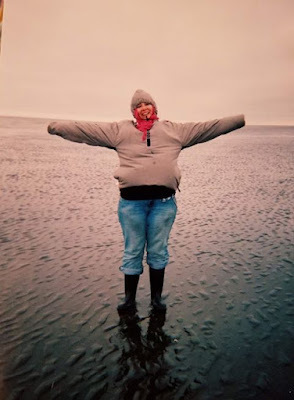 After graduating from college, Angela headed west and north to Alaska for a summer job that left an impression on her life and provided her with great stories she has kindly shared with us on the podcast. 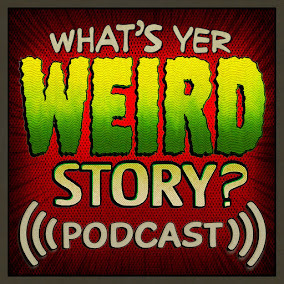 Welcoming some new kinds of stories to the Weirdsville library and some great discussions all on this week episode of the WHAT'S YER WEIRD STORY? Podcast.